This is a list of 25 cool pairs of shoes for under $50 that are available on Amazon right now. Shoes that are unique and comfortable are an important part of every wardrobe. These shoes are designed especially for people who spend a lot of time in or near the water. They are designed to keep your feet comfortable and protected. A great choice if you enjoy surfing, swimming or other watersports. 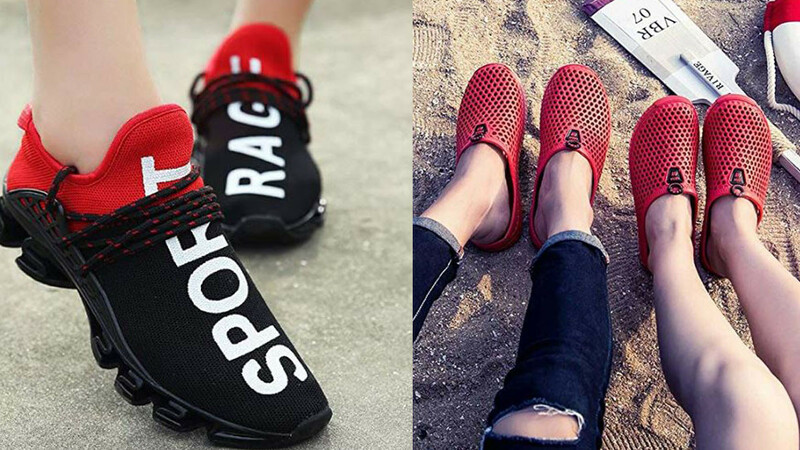 These cool sneakers are great if you love shoes with personality. Choose from six cool colors and 11 sizes. A cool choice as streetwear or to wear when you are at the gym. These Adidas originals are designed for comfort and performance. They feature a molded insole and a speed lacing system that is very convenient. 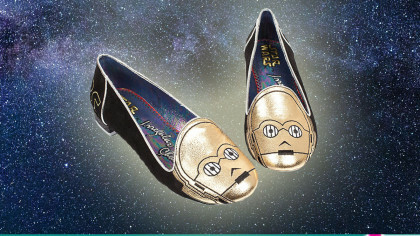 If you like cool pairs of shoes with unique and creative designs then these might be your style. These everyday sneakers are printed with a whimsical galaxy design. These fun light up shoes are great for anyone with a vibrant personality. A cool choice for kids or for adults that love to be the life of the party. The shoes come in 8 different colors and you can choose from 7 light colors. These sneakers are highly versatile and they have a very unique look. They are designed to provide a stable and comfortable surface that is fantastic for active people. These fashionable, high top sneakers are perfect for anyone who loves a casual, grunge look. A choice of two different skull designs is offered. These breathable running shoes are designed to provide comfort while jogging or exercising. Several color choices are offered and the non-slip sole keeps you on your feet no matter what surface you are on. Wear these stylish joggers on casual occasions or when you are being active. They are great for walking, jogging or playing tennis. If you love punk or a gothic look then these women's boots might be your style. The design is interesting and is sure to compliment any edgy outfit. These are offered in red (as pictured) or in black. These cool boots are a fun choice for the colder months. They feature a dark skull pattern that is sure to appeal to anyone who loves a dark vibe. Combine fashion and comfort with these fun high heeled sneakers. They feature a wedge heel and they are very comfortable for relaxed occasions. These lightweight walking shoes will be your best friend when you are out and about. Perfect for tennis or walking your dog in the park. These breathable sports shoes come in a range of attractive colors. They are durable enough to wear while running, working out or walking. Dress for work or for a formal occasion without compromising on comfort. These formal shoes have a memory foam interior so you can wear them comfortably for long periods. Available in browns and in black. These sneakers are comfortable enough for everyday wear and a good choice for semi-casual occasions. The retro style high top is sure to appeal to 90s fashion fans. These shoes are a great choice for weekends or holidays. They fit comfortably but also look the part. There is a memory foam sole and they are made from durable canvas. These creative and colorful shoes feature a unique paint splash design. They are designed for sports and the breathable mesh keeps feet cool and comfortable. If you get annoyed with fiddly laces then you will love these slip-on exercise shoes. They are easy to get on and take off plus they provide the cushioning and stability you will need. These casual shoes are great for shopping, gardening or wearing around the house. The cool dog design makes them a fun gift idea for any animal lover. These inexpensive shoes are an excellent choice for casual weekends or seaside holidays. These hand stitched shoes are great for work or semi-formal occasions. They look great and are comfortable enough to wear all day. Choose from black, brown or tan. These bright shoes feature a lovely sunflower print. They feature a durable, full canvas upper and classic lace up style.